hot damn BACON jam! | eating with S.O.L.E. Start with the best quality thick cut smoked, all natural local happy bacon you can find. cut 1+ lb’s of the stuff into 1 cm thick chunks, get it searing off and browning up into crispy perfection in a heavy bottomed pan. Slowly simmer for 2 hours, stirring often over a medium heat. 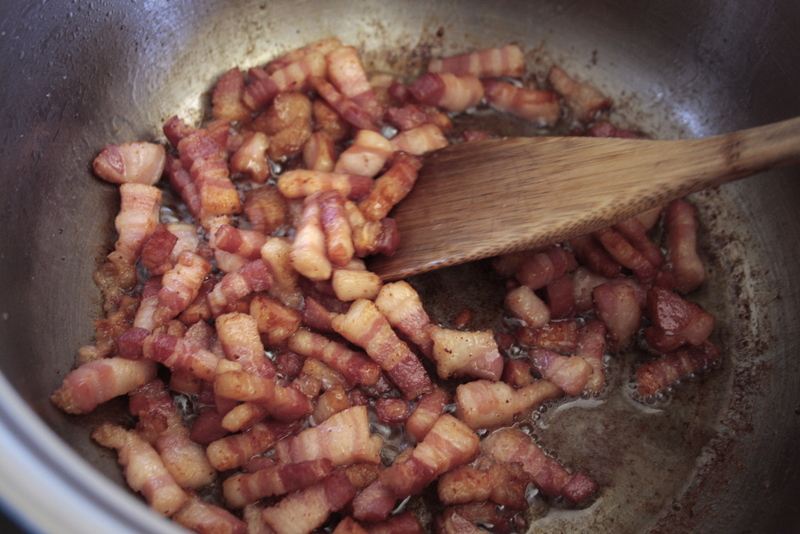 When you can’t stand it any more because the house smells sooo good, bust out your processor or immersion blender and zip up the batch so that you have a chunky blend *DO NOT over process into paste/ sauce, you want some bacon and onion bits throughout. 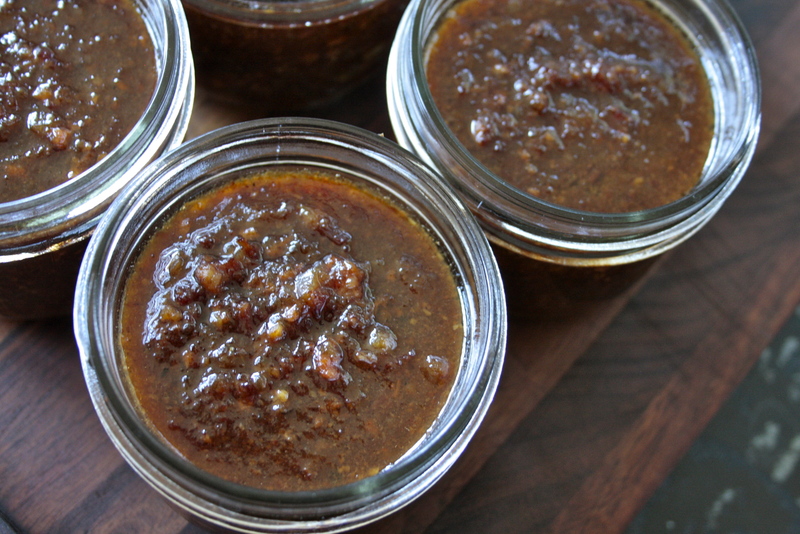 Portion bacon jam into sterilized jars and keep in the fridge for up to 4 weeks. Very soon I will do another batch, and figure our the pressure canning times so that I can put these up in the pantry, when I do that I will update this entry to share the processing times. You CANNOT water bath can this! WARNING: once you make this you might never go without it again!